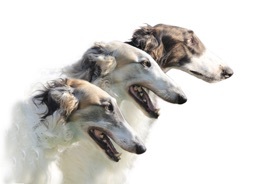 It started with our Saluki (Inshallah Assad's) in November 1983. 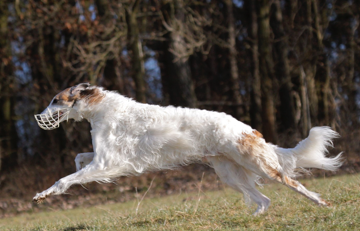 After his death (12 years and 8 months) we had a hard time and could´nt think of taking another dog, also we could not find a Saluki, with which we would wanted to live. 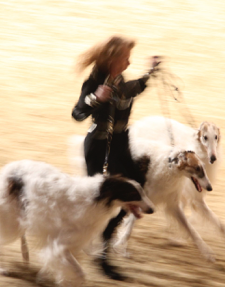 So we have decided to change the breed and came to the Borzoi - or better - two. 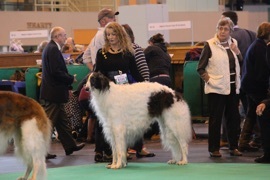 Almaz and Argon from the kennel Von Chrima-Hyvadora. Unfortunaly our Argon died at the age of 8 years. 4 months after the death of Argon, we got our Kashan. He was from the beginning our sunshine and "our cuddly man." 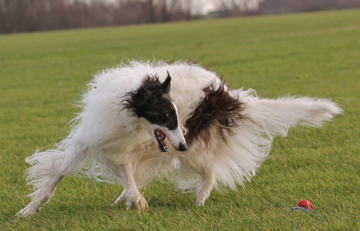 Almaz has nicely made a safe, confident Borzoi out of him. All he knew, he has learned from his great "Uncle Almaz". Unfortunately, our Almaz died at the age 11, kidney failure. We were prepared that we would lose him in the foreseeable future, and we had already decided that our Kaschan should not stay alone. 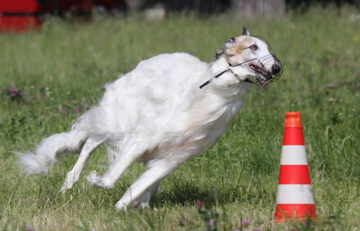 We wanted to take a second Borzoi again. 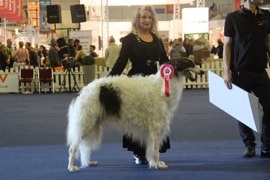 We were so impressed by the character of our Kaschan, we asked Margrit Klug from the kennel Aus dem Zarenreich, if we could have Karim (Karamasov). In September 2008, Karamasov aus dem Zarenreich came to us, and we enjoyed every day with this wonderful boy. I always said to my wife, "two are enough", but also "better three than just one." 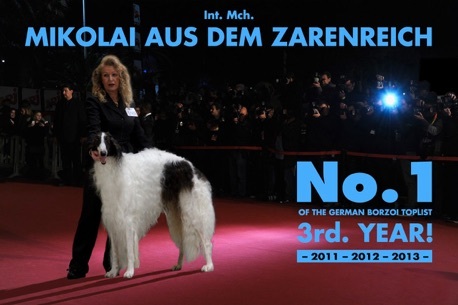 Once on a visit at our breeder, I saw the little son of Karamasov - Mikolai. There was our 3rd! We are very happy that we shared our live also with Mikolai. 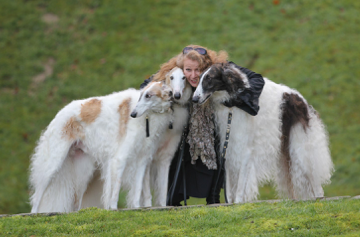 We often think of those happy years we shared with our „Zarenreicher“ and thank Margrit and Manu for letting us have these wonderful, beautiful dogs.